The 750 V-Groove Corrugated Rubber Runner is made with 100% recycled materials and a rib-tooth design for better traction, greater comfort, and noise reduction. 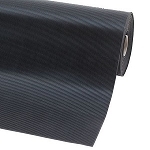 With 1/8 thickness of highly durable rubber, this multifunction runner is perfect for strolling carts, foot traffic, and can also be used as liners on maintenance and tool carts. 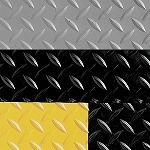 This safety matting also has a silencing effect of noisy floor tiles and creates a barrier to cold flooring substrates. Easily clean this industrial floor covering with a broom or water and mild detergent. 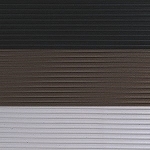 This durable rubber floor runner is available in three different dimension rolls to meet all your customization needs.